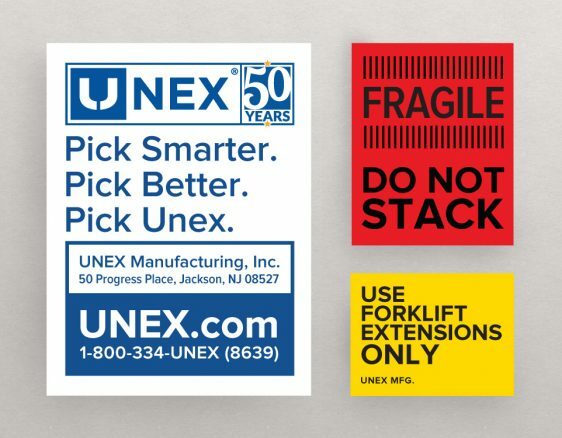 Splendor partnered with Unex, a New Jersey-based manufacturer of industrial equipment, for a series of web and print projects. 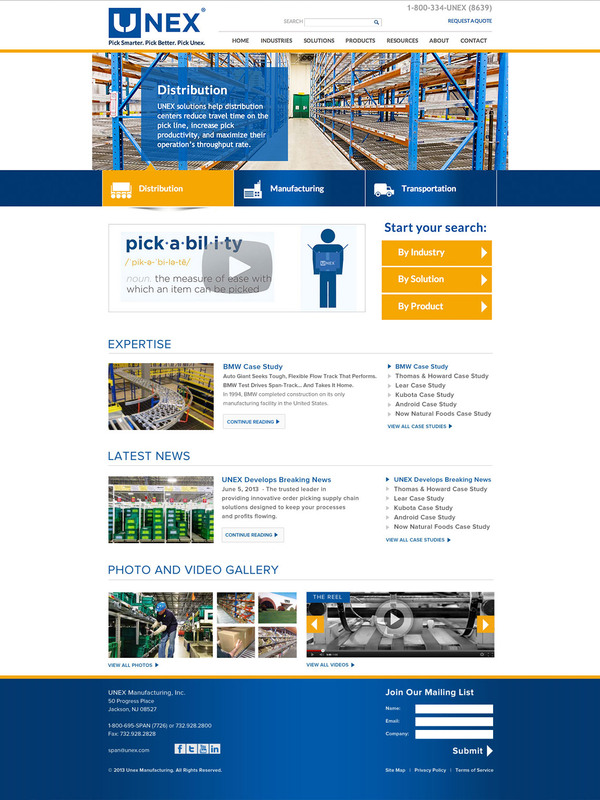 We designed a new website that organizes their large amounts of content within a highly functional, minimalist layout. The site includes a massive photo gallery, product catalog, information about various accessories and specs, and is easy to update through the WordPress backend. 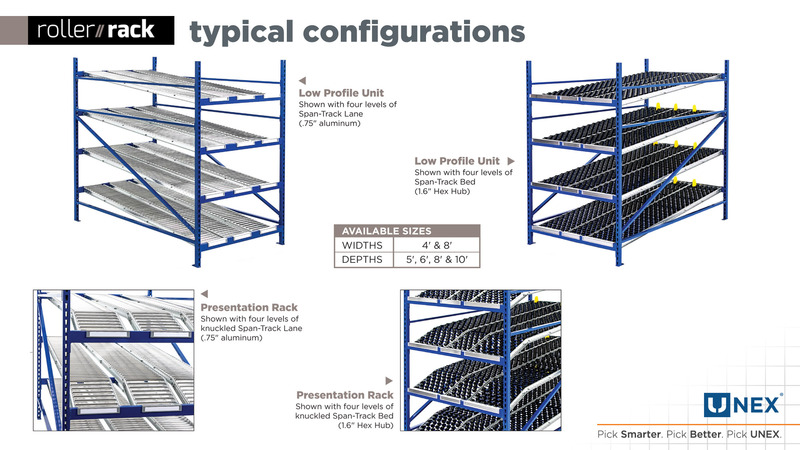 To strengthen the efforts of their sales team, Unex sought an modern, interactive, online sales presentation and touchscreen catalog. 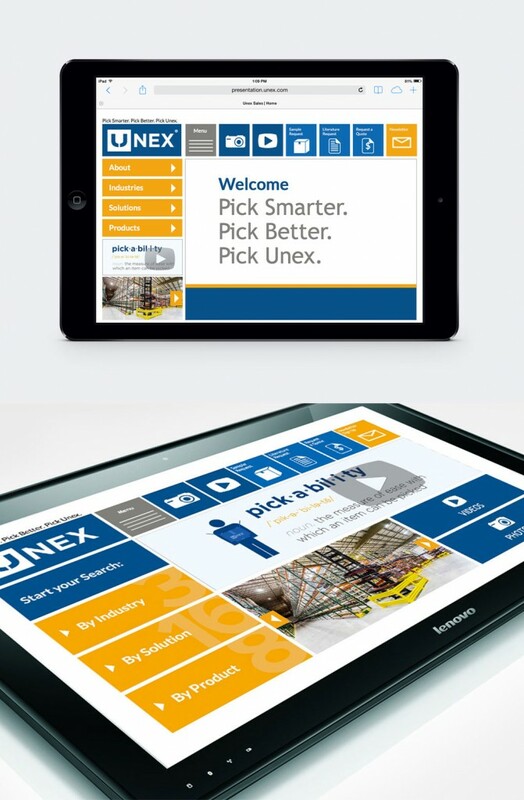 The presentation highlights Unex’s products and services and functions on a small tablet as a highly efficient tool for their sales team. 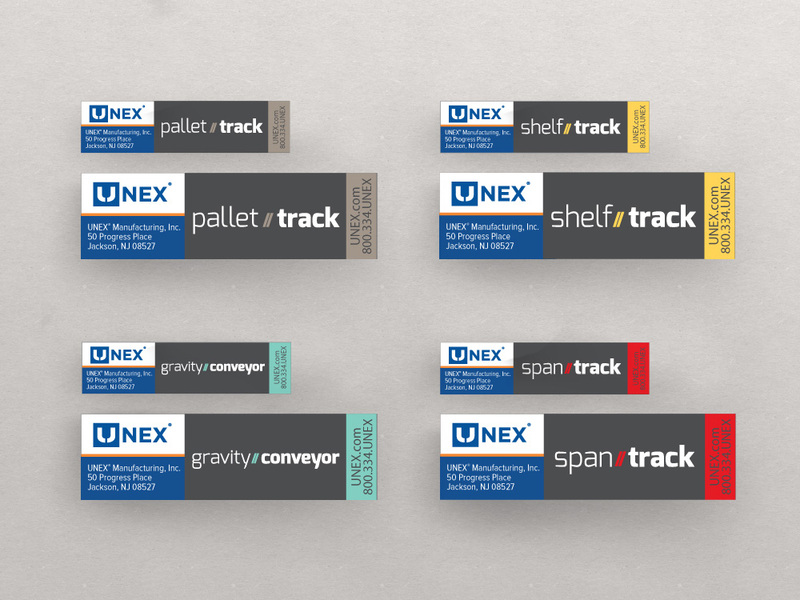 Unex also has a strong presence at industry expos and trade shows. 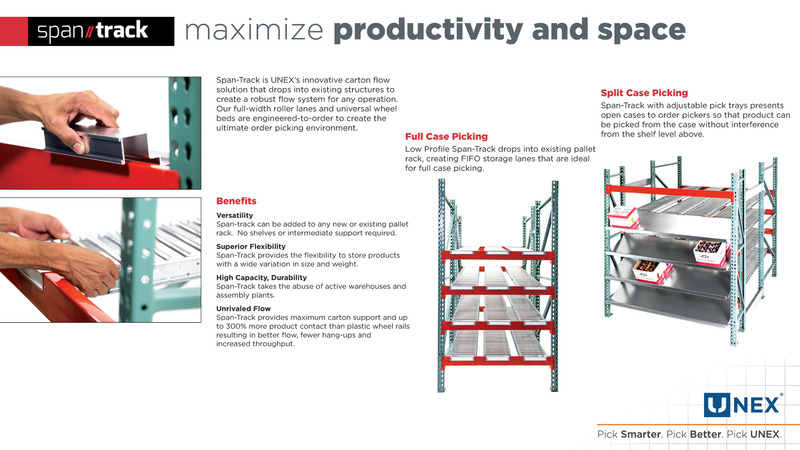 To provide a resource for visitors to their booth, Splendor designed and developed a self-guided interactive presentation. The presentation included their product catalog housed on a large touchscreen tablet. 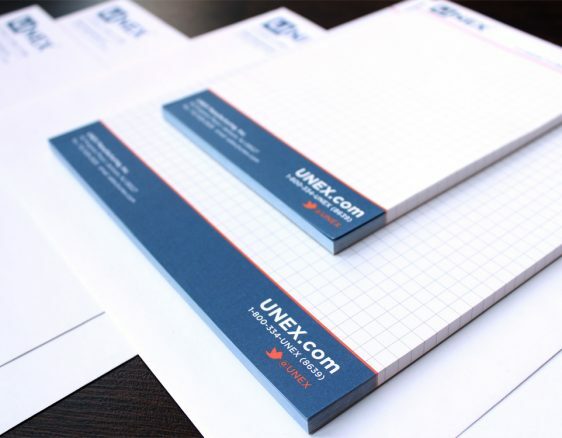 Along with online materials, Splendor created stationery, folders and supporting graphics for Unex. 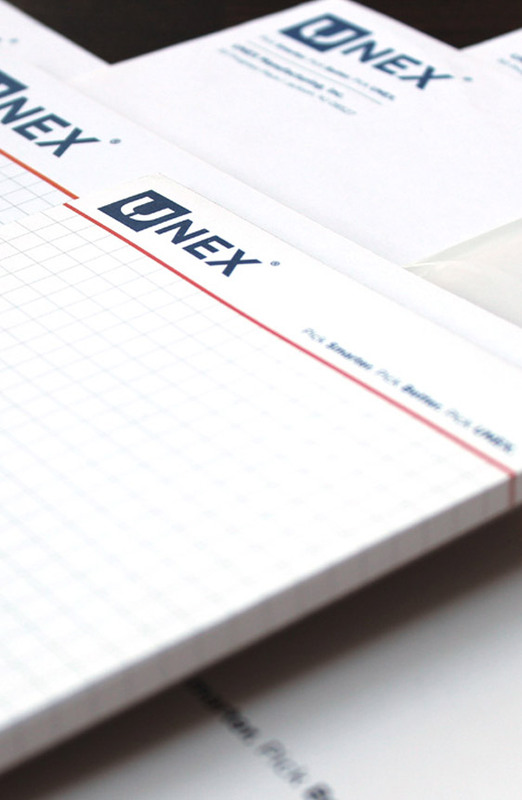 We developed a series of identification stickers that were placed directly on products during manufacturing. Their additional logos and graphics complement their brand image.